I have so much to tell you all about, I am having a hard time deciding what to post first. 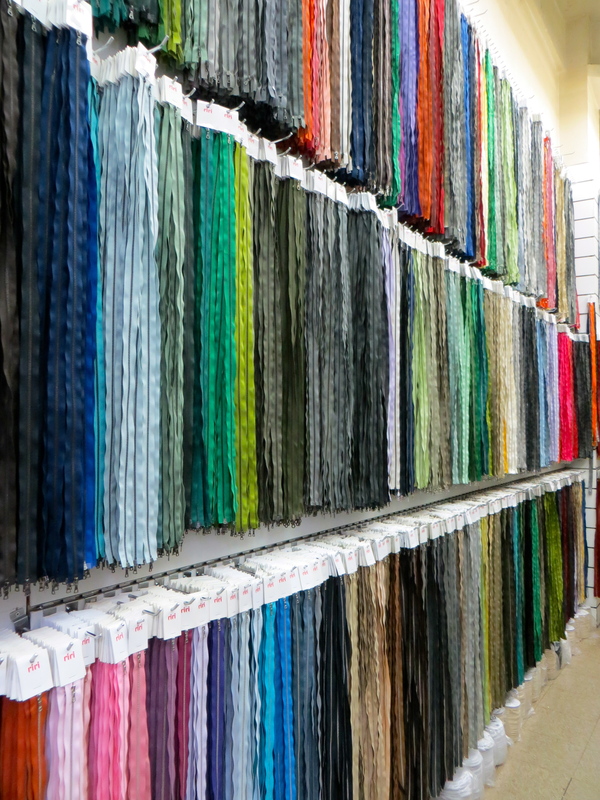 But this definitely has to be it — I recently returned from a fabric-buying trip to NYC. That’s right, a trip to New York City for the sole purpose of acquiring fabric for me to sew up into whatever my heart desires (or just lust after as it sits in my stash 😉 ). Like the shirt I’m wearing? 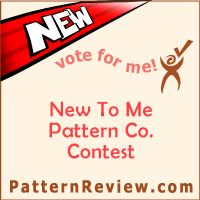 Stay tuned for more details and a review of the pattern! I went with a friend and fellow sewing enthusiast and we had the best time. 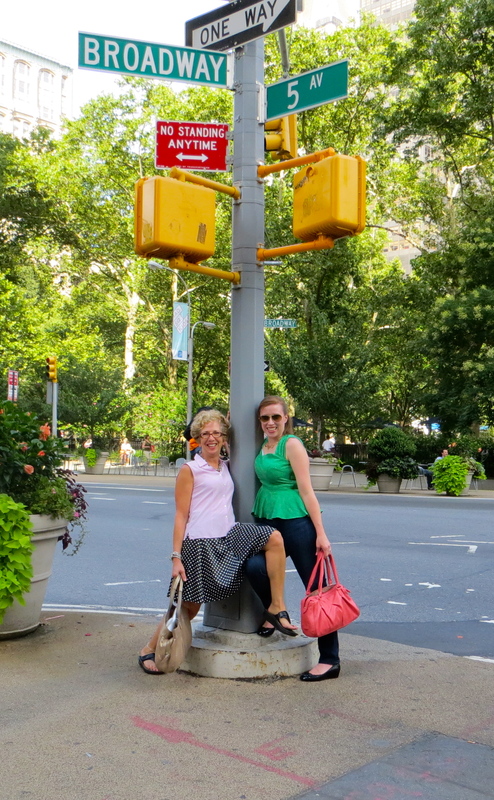 We joined up with a bunch of other fabric junkies as part of Peggy Sagers’ NYC garment district tour/buying trip. Although I have never sewn any of Peggy’s Silhouette patterns, I have watched some of her free, informative webcasts and sat in on one of her sessions at a sewing expo in Atlanta back in March. 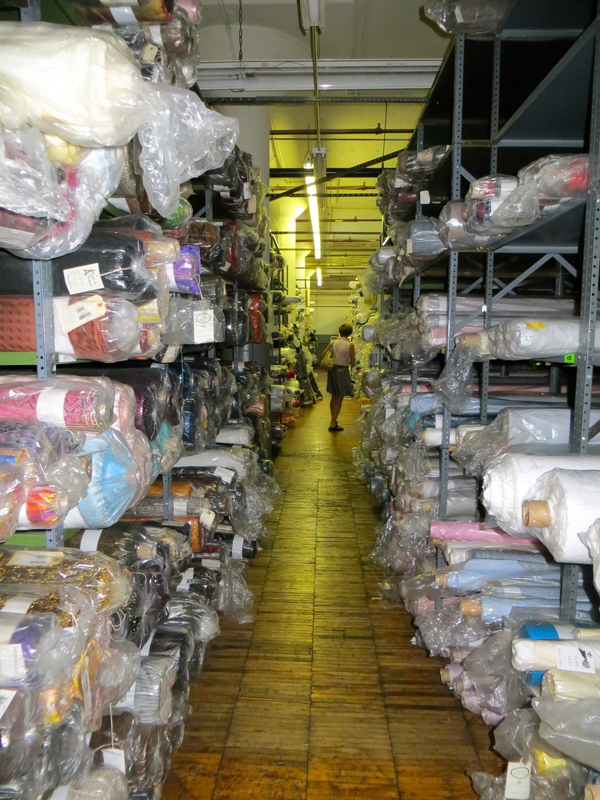 She took us to several wholesale fabric distributors who typically don’t sell to the public so we had access to awesome selections at great prices. 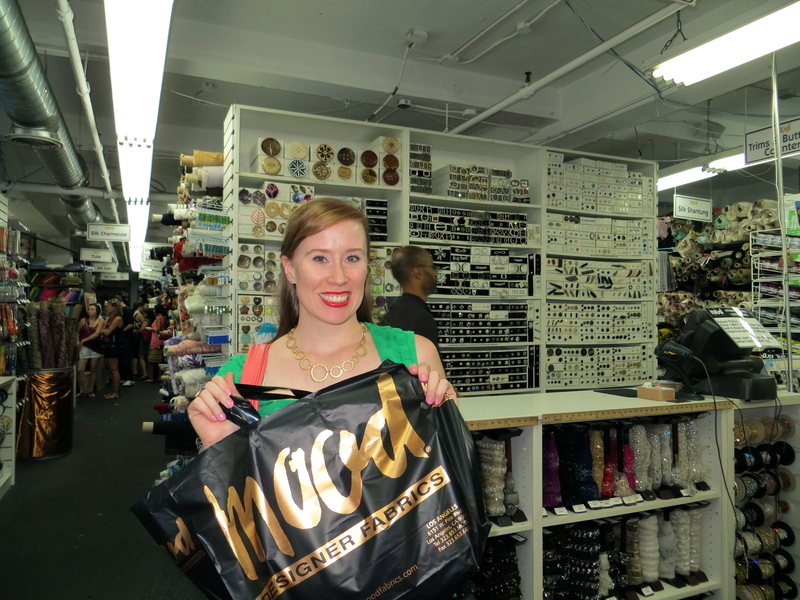 We also got to go to the popular spots like Mood and Pacific Trims (where they have walls of nothing but zippers!). The most unusual stop was a leather store where they sold hides of everything from pigs to stingrays. I picked up two small pieces off the clearance rack to try out for a small clutch or sleeve for my iPad. 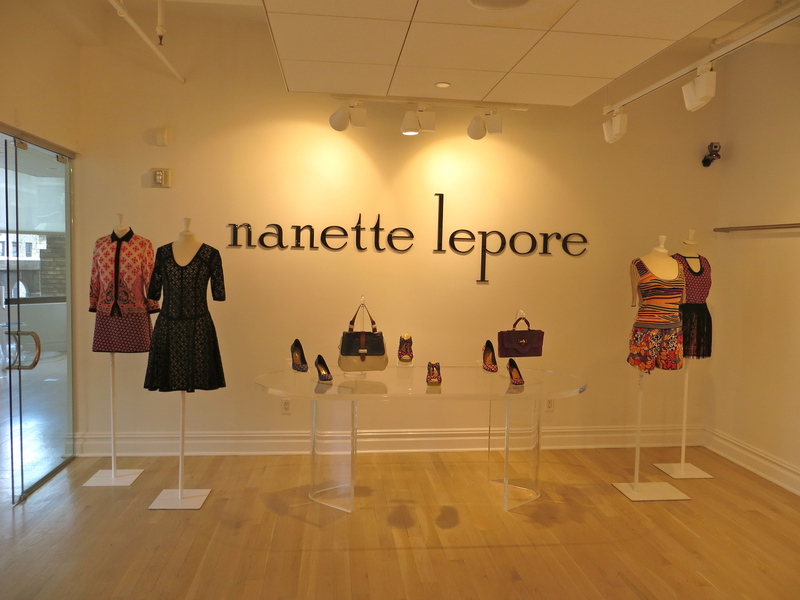 The highlight of the trip for me was getting to tour the Nanette Lepore studio and main office. During conversation over dinner, Peggy mentioned that one of the stops on our tour was next door to the Nanette Lepore offices and that on some priors tours they had visited the NL studios. When I told her that NL was one of my favorite designers of all time, she arranged for me to have a private tour! 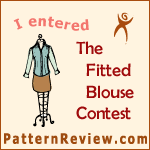 I was thrilled and loved seeing where some of my favorite fashions are designed. I love the fact that most Nanette Lepore clothes are actually made in the USA, right in NYC. When my tour was done, Nanette’s assistant took me to the warehouse and let me shop the racks from the sample sale that had occurred the day before — then gave me an extra 20% off! Talk about icing on the cake!! I brought home a blouse, skirt, and dress to add to my collection. We spent one day with friends of my sewing buddy and they took us to a cute little town in Pennsylvania for lunch. The best part? 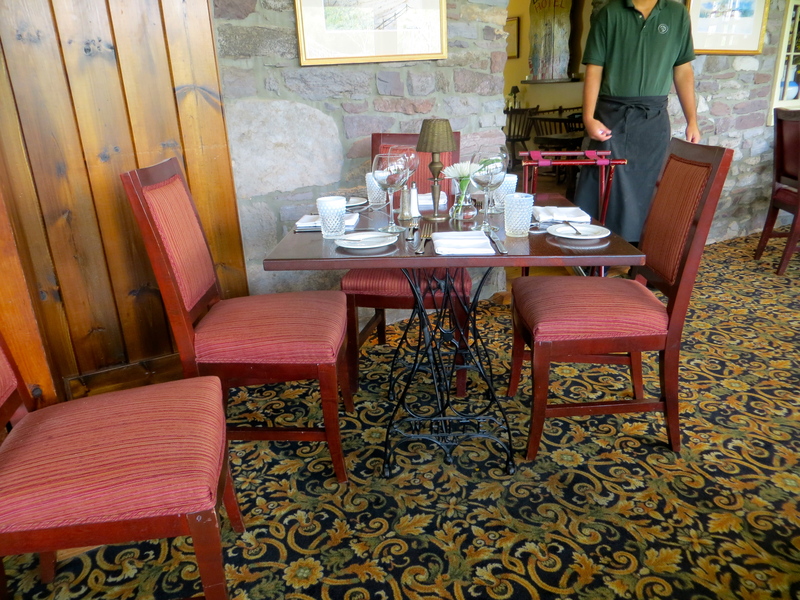 All the tables in the restaurant used old sewing machine bases for the legs! JEALOUS!!!!! Green with envy and spitting nails at my stupid call schedule! I’m going next year – I wonder how far in advance she schedules these trips. Love the pics – keep ’em coming. I’m going scream in a pillow now…. 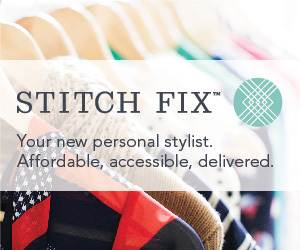 But it looks like you’ve been doing some out of town fabric shopping, too? We should get together soon and sew up some of our new goodies.